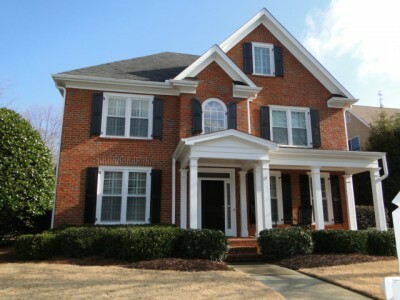 Heritage at Vinings was built in 1997 by John Wieland Homes. 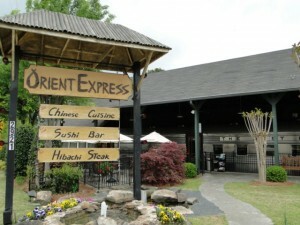 This popular swim/tennis community is located in Smyrna off Atlanta Road just one mile south of Smyrna Market Village. 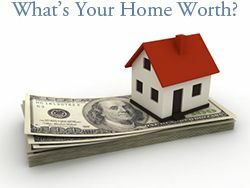 The neighborhood consists of 188 homes and offers convenient access to I-285 and to downtown Vinings. 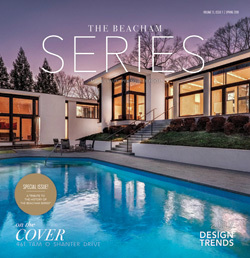 Here are the top 10 reasons we love The Heritage at Vinings and the Smyrna area. common area landscaping projects. Residents have a private section on the The Heritage at Vinings HOA website to log in for up-to-date information. Market Village – Smyrna’s Market Village opened in downtown Smyrna in 2002. Market Village is the new social center of Smyrna with restaurant and shops. Above the stores and restaurants are townhomes which are private residences. Atkins Park, Vintage Tavern, Zucca and Moe’s Southwest Grill are some of the restaurants found in Market Village. Market Village is host to many city sponsored events which builds a strong sense of community with the small town charm. 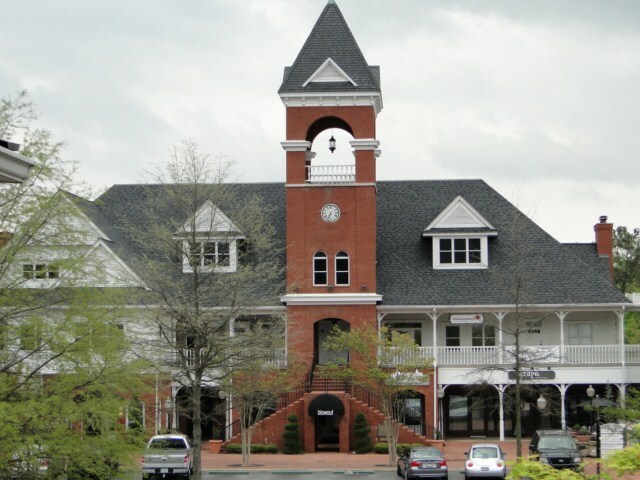 Location – The Heritage at Vinings residents are just minutes away from great shopping and dining in Smyrna Market Village, Vinings Jubilee and Cumberland Mall. Located just West of Interstate 285 in the Smyrna-Vinings area, commuters will have easy access to Downtown Atlanta, Midtown Atlanta, Sandy Springs and Dunwoody. See map of The Heritage at Vinings. Smyrna’s Community Center – Located just north of The Heritage at Vinings, the Smyrna Community Center is definitely a multi-use, highly functional space that is available to all Smyrna residents. It is home to a full fitness center, basketball gymnasium, game room, dance room, an industrial kitchen and many smaller rooms available for meetings and private events. 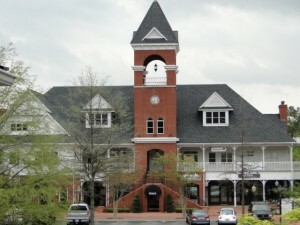 Smyrna’s Village Green – The Village Green was designed in the late 1980s to create a town center where residents could come together at the focal point of the city. The Village Green includes the community center, public library, City Hall and green space to hold community events. The Village Green’s brick, looping roads and center fountain, shows the small town charm of Smyrna. Tolleson Park & Pool – Located at 3590 King Springs Road just south of the Village Green area, Tolleson Park and Pool is a 26-acre park operated by City of Smyrna. The park offers soccer fields, baseball fields, sand volleyball courts, a playground, tennis courts and a pool. Annual Events – Smyrna offers several great events throughout the year. Spring Jonquil Festival, Taste of Smyrna, Fall Jonquil Festival, Smyrna Birthday Celebration, Coming Home for the Holidays, and the Summer Concert Series are just a few of the many annual Smyrna events. Smyrna Athletics – City of Smyrna offers programs for residents of all ages to stay in shape and have fun with recreational sports. The Aline Wolfe Adult Recreation Center is exclusively for adults 55 years and older. It offers dance class, fitness class and a therapy pool. For the school-aged residents, Smyrna offers a variety of programs including Little League, football, cheerleading, T-ball, baseball, track, tennis, and basketball. Adult recreational sports offered include basketball, indoor volleyball, softball, and beach volleyball. Taylor-Brawner Park – Located just outside the entrance to The Heritage at Vinings, this 10-acre City of Smyrna park is home to an amphitheater, walking trail, picnic pavilions, gazebo and two historic Buildings. Brawner Hall and Taylor-Brawner House have been fully renovated and are available for private events.